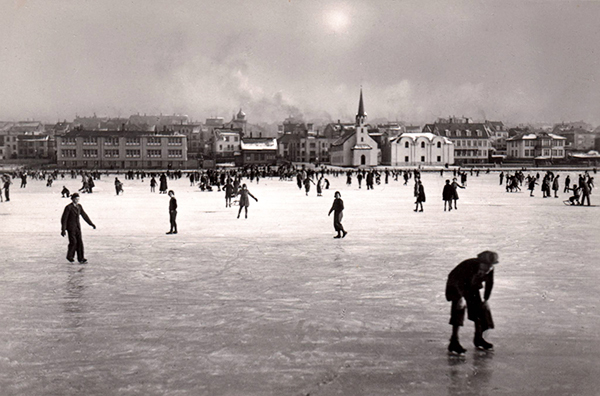 In the winter, Tjörnin Pond, in the city center of Reykjavik, is a gathering place to play ice hockey and soccer, and to go ice skating. This can be done formally or informally, as there is no where to rent ice skates for the pond. This means you’ll want to either bring your own skates or step out in your boots and let gravity take its natural course. 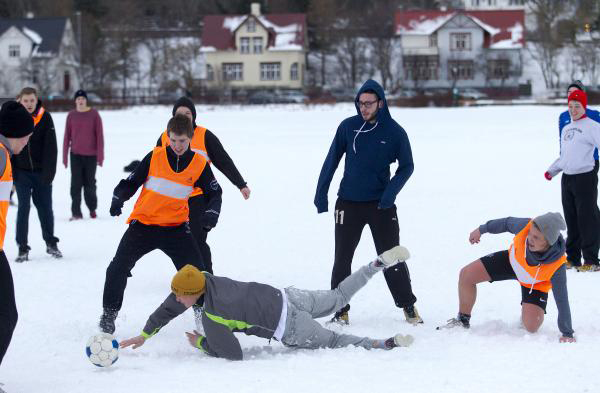 This was something we really wanted to do when we came to Iceland, but we didn’t prepare well enough for the freezing temperatures. One lonely night we came out to Tjörnin Pond to test the waters and slid around for about five minutes before the twins were begging to leave because they were so cold. We are used to freezing weather in Utah, and although the internet will tell you that Iceland winter’s are mild, this was not our experience. We brought gloves, hats, warm winter coats lined with fur and boots, and we still wanted to stay indoors the entire time. Because we didn’t have proper skates it was pretty awkward trying to glide around on the ice, but really doing something more like scooting. We actually wish we’d had a soccer ball, because that would have been really fun to play we we ran and slid and skidded across the ice. There is actually no predictability to when or if the pond will freeze over. It transitions in and out of homeostasis, but once frozen there has only been one recorded time in history that the ice has broken – the year that Reykjavik decided to host a horse parade on the ice. Tjörnin Pond is the result of a old lagoon that was situated next to a reef. It has five different water sources that feed into it and is now home to upwards of 50 different species of birds, even though it doesn’t have a depth of more than two feet. During the spring and summer it is a popular breeding ground for the birds and residents to enjoy a lazy afternoon side by side. Thus, it has the nickname: Bread Soup Pond, stærsta brauðsúpa í heimi, and due to the large aggregation of birds is in fact, the Biggest Bread Soup in the world. 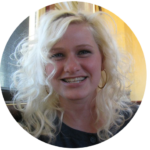 ► For Kids: This can be a really fun experience for everyone in the family. We recommend going during the short sunlight hours of winter as you’ll be much warmer than in the frigid cold darkness. This pond was also once used for ice harvesting. Can’t you just imagine Kristoff out there heaving and hoeing and husking the ice around in giant blocks? 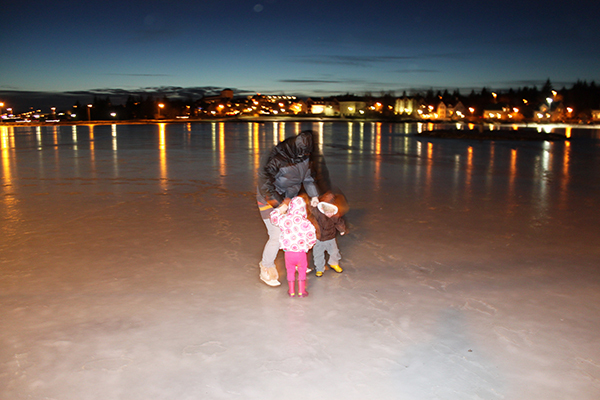 Have you participated in festivities on Tjörnin Pond in Iceland? Which activity did you select? 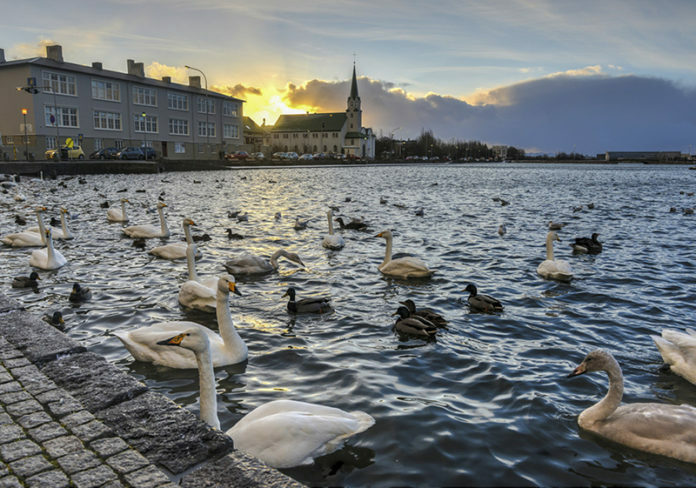 ► Nap-Time Version: Tjörnin Pond in the center of Reykjavik is a fun attraction all year long! We also loved dining at the Fjörukráin Viking Restaurant for Þorláksmessa, soaking among the lava rocks of Grindavík, and standing on two continents at the same time!